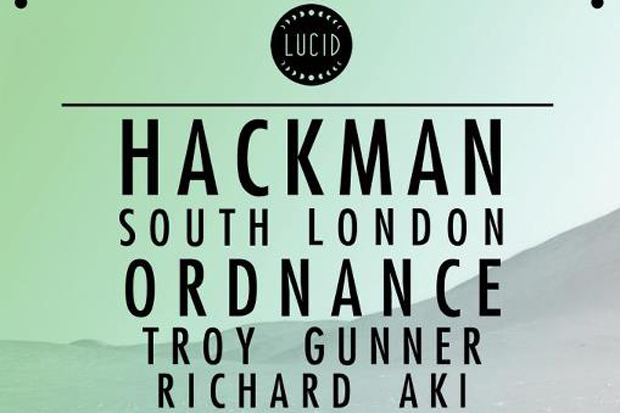 This Friday, Lucid present Hackman, South London Ordnance, Troy Gunner and others at London’s Rhythm Factory. After recently celebrating their first birthday, Lucid return with a more than strong line up that boasts some of the UK’s finest young talents. 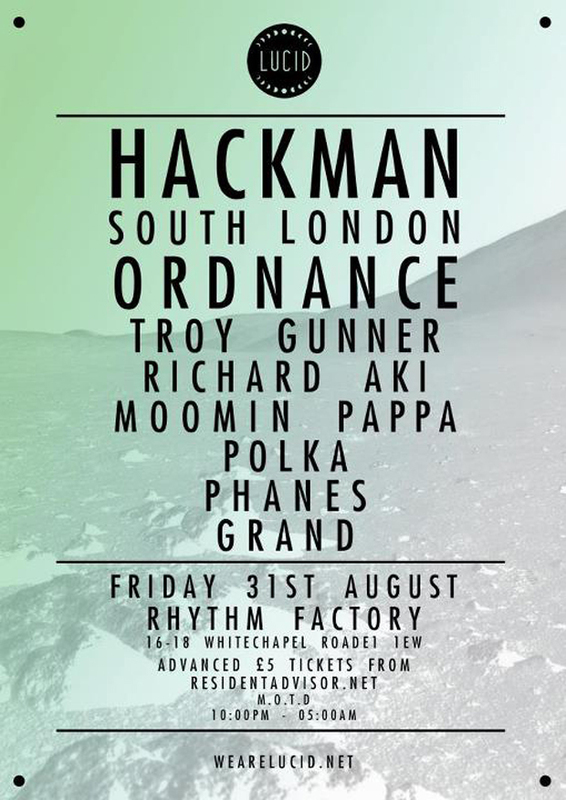 Hosted at East London’s Rhythm Factory, the night looks set to be unmissable. Advanced tickets are priced at a very reasonable £5 and can be found at Resident Advisor. The folks behind Lucid are also running a competition where you could win 2 tickets for the night, a Lucid t-shirt, some stickers and a copy of Hackman’s “Forgotten Notes” (shown below) on 10″ vinyl. To enter, head over to the Lucid Facebook, like the page and share this photo. Entry closes on Monday 27th August. Full line up and info on the flyer below.